London, UK: The legendary Ravi Shankar, musician, composer, performer and scholar of classical Indian music, is to receive the prestigious Fellowship Award for nine decades of outstanding contribution to the music industry, at The Asian Awards in partnership with Lebara. The Asian Awards is a celebration of excellence among the global Asian community, they were launched in 2010 to recognise and reward the outstanding achievements of individuals born in or with direct family origin from India, Sri Lanka, Pakistan or Bangladesh across all disciplines of life – from business to the arts, culture, sport and public service and this year’s special event takes place in London on the 18th October, 2011. Ravi Shankar, a world-class sitarist and composer, is India’s most esteemed musical ambassador and a singular phenomenon in the classical music worlds of east and west. He is well-known for his pioneering work in bringing Indian music to the west and was the first Indian artist to compose music for western cinema. In celebration of his 90th birthday and illustrious nine decades in music, Ravi Shankar founded record label, East Meets West Music, last year. Although Ravi Shankar is well known for his interaction with the popular music world, Shankar is also the leading international figure in Indian music. It is a little known fact that Beatles star George Harrison, began to study eastern music with Ravi Shankar in 1966. Harrison bought a sitar and used it to record the song “Norwegian Wood”, which later led to Indian music being used by other musicians and created the raga rock trend. Harrison later dubbed Ravi Shankar “the Godfather of World Music”. Ravi Shankar’s daughter, Anoushka Shankar, sitar player, composer and a leading figure in world music in her own right, will attend The Asian Awards to accept the honour on Shankar’s behalf as he is currently on tour in America. A host of stars including Asha Bhosle, Jay Sean, Russell Peters, Meera Syal, Preeya Kalidas, Muttiah Muralitharan, Freddie Mercury’s family and Queen band-mate Brian May will attend The Asian Awards, hosted by Lord Sebastian Coe, which celebrates the outstanding achievements of individuals born in or with direct family origin from India, Sri Lanka, Pakistan or Bangladesh across all disciplines of life. The Asian Awards were an ambitious idea conceived by Paul Sagoo, entrepreneur and founder of Lemon Group, and realised by co-founder Caroline Jackson Levy, Managing Director of UBM Awards. “Our goal was to celebrate the highest calibre of individuals from the Asian community across all spheres of activity,” said Sagoo. “Last year’s inaugural event was spectacular, and set the bar high for 2011. This year, we will take it a notch higher,” added Jackson Levy. 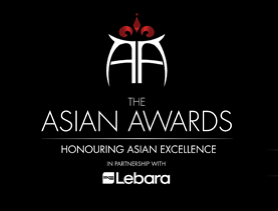 Tickets are available – call +44 (0)20 7234 8732 or visit www.theasianawards.com for the opportunity to celebrate Asian Excellence and network with the world’s most inspiring Asian stars in music, business, sport, the arts, science and cinema.